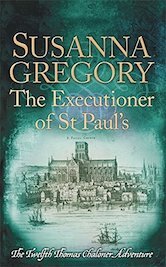 warm welcome to the website of Susanna Gregory, the author of numerous medieval murder mysteries, Restoration whodunits, and other historical crime fiction. Thank you for taking the time to visit. 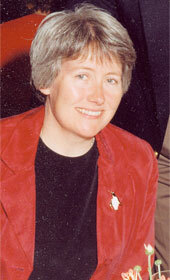 You will also always be able to find information here about my latest books. And if there is any special news to tell you, this will be the place to find it. 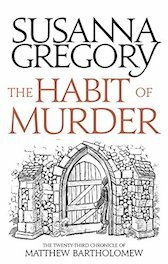 One of my most exciting pieces of information is that The Habit of Murder, the twenty-third Matthew Bartholomew mystery, just appeared this summer. Meanwhile, the thirteenth Thomas Chaloner adventure is already with the publisher and will be out before you know it. I certainly had a great time researching and writing both of them, and I hope that you find them as enjoyable as I did. In other news, this coming December, Severn House will publish Mind of a Killer, a Victorian mystery based around true events in London, which Beau and I wrote under the pseudonym Simon Beaufort. Earlier this year, The Exploration Treasury, Beau’s lavishly illustrated work about the magnificent holdings of the Royal Geographical Society, was published, and he has also been busy working on books for the Fram Museum in Oslo. By the end of the year, two more should be published, one about Eivind Astrup, a Norwegian who explored northern Greenland with Robert E. Peary, and the other about the Southern Cross Expedition, the first time men wintered on the Antarctic continent. Each will accompany the Fram Museum’s exhibitions that are due to open in December. So there are lots of new exciting tales! Meanwhile, the twenty-fourth Bartholomew is already in the works, as is the fourteenth Chaloner adventure. So with all of these options, I hope you will find one, or more, books that will give you a great reading experience. Thank you again for visiting. Please come back soon!